Born and raised in Cornwall, Abby has an inherent love for the healthy coastal lifestyle and the beach. Adoring all things creative – art, music, photography and literature are all big parts of her life. After graduating, Abby was fortunate enough to travel around the world for over a year. Whilst on the move, she worked as a pottery teacher at Camp America and volunteered at schools and orphanages in Nepal. 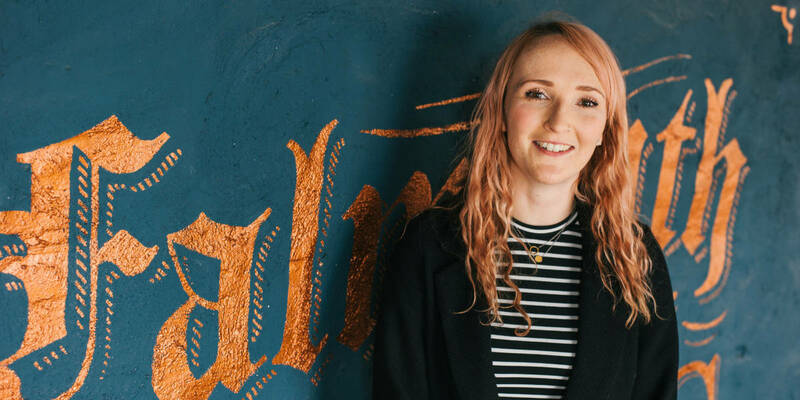 Abby then came back to her roots and started working at Tregothnan in the marketing department for three years, as she has always been passionate about everything Cornish. Finally relocating to Falmouth, she completed her Professional Diploma with The Chartered Institute of Marketing and has been with The Greenbank Hotel for two and a half years as our Marketing Manager. What is the best thing about Falmouth? There are so many hidden gems and there’s always so much going on. I still haven’t ticked off all the endless independent spots to eat in, and there’s always a quirky new wine bar to try out, gig to watch, or pop-up event to head to. Summer in Falmouth is the dream – paddle boarding at Gylly beach, boat tripping to St Mawes with a picnic, or singing along at the Sea Shanty Festival – perfect. Although a little clichéd, you can’t beat a Cornish pasty. That unique freshly-baked smell wafting out of my granny’s kitchen brings back the best memories. I’d eat them for breakfast, lunch and tea if I could. What is your favourite thing about Cornwall? The work-life balance is unbeatable. I love the fact that I can finish work and kick back on the beach ten minutes later, or be strolling along the coast path or getting lost in a nearby woodland. What would you recommend doing in winter? I’ve just started volunteering at The Poly – Falmouth’s Art Centre – where they show a vast range of films, comedy nights, exhibitions, talks and theatre performances. So for a typical winter day I’d recommend spending a few hours sampling all the delicious gins in Dolly’s Tea Room, then booking a table (well in advance!) at The Wheelhouse for dinner and strolling on over to The Poly until late.